In the early 1900's photograph postcards were extremely popular. Think of them, as the selfies of the day. 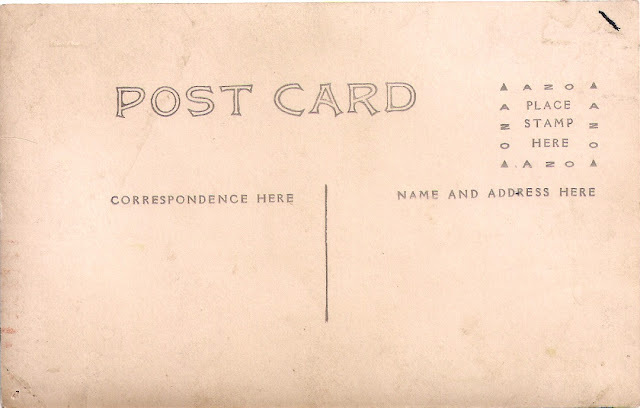 A lot of them were never mailed or postmarked. Most ended up in scrapbooks. I prefer collecting the postmarked cards, as it gives a more accurate time period, but sometimes a photograph is just too pretty to pass up. The postcard below is of a lady from the mid 1900's. 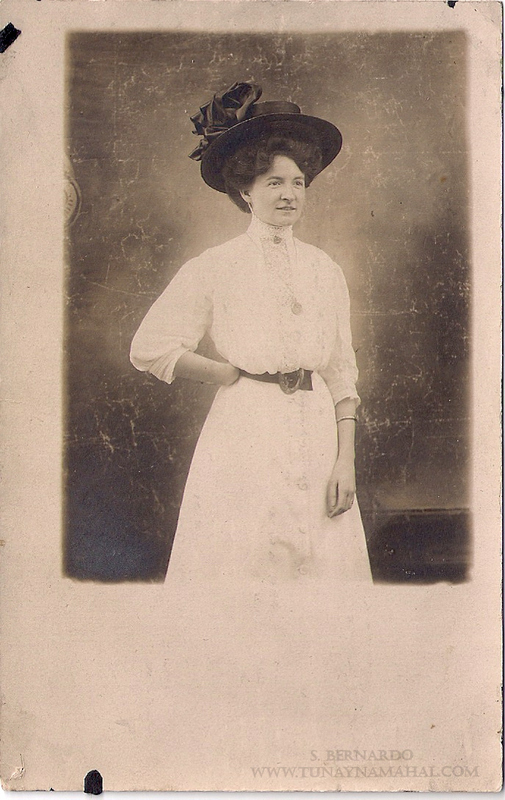 It was never mailed, so there's no information about who she was, but her outfit and hat are gorgeous! Ladies kept their hats on their head with hat pins. They could be up to 12 inches long! 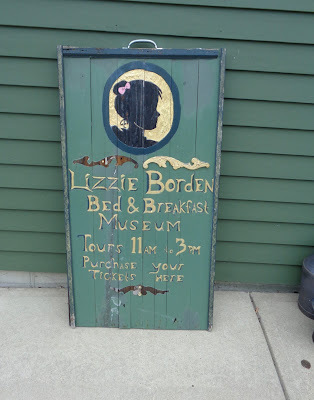 Check out this article from the Smithsonian: “The Hatpin Peril” Terrorized Men Who Couldn’t Handle the 20th-Century Woman. 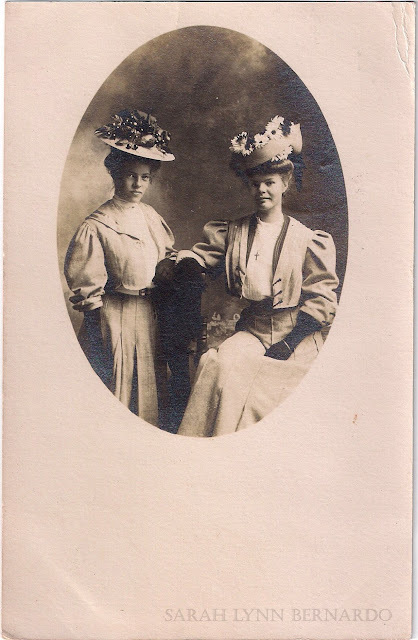 This was another photograph postcard I picked up of two ladies, possibly sisters (or mother and daughter?). 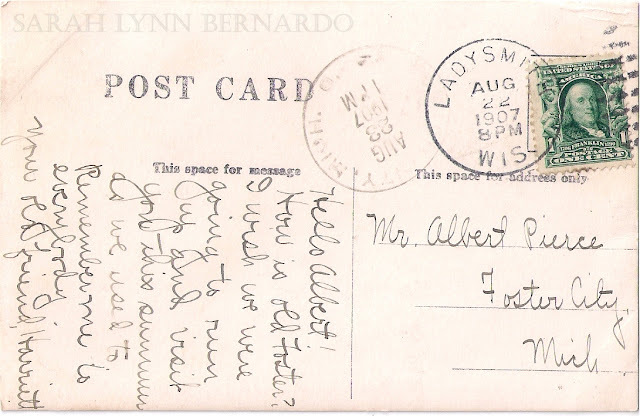 It was sent by Harriet in 1907 from Ladysmith Wisconsin to her friend Arthur. I'm not sure which girl is Harriet, but I like to think it's the right girl. There wasn't enough information on this card to find out exactly who Harriet was. But I believe I found her friend Mr. Albert Pierce of Foster City, Michigan. 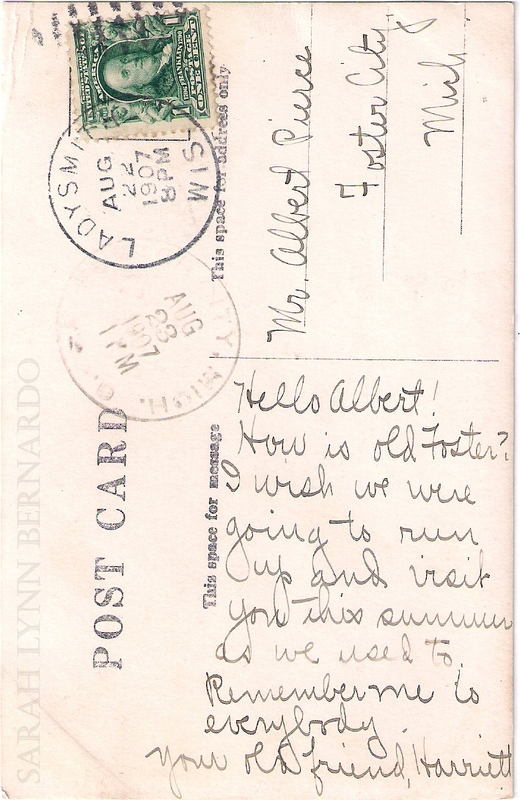 The postcard says: Hello Albert! How is old Foster? I wish we were going to run up and visit you this summer as we used to. Remember me to everybody. Your old friend, Harriet. 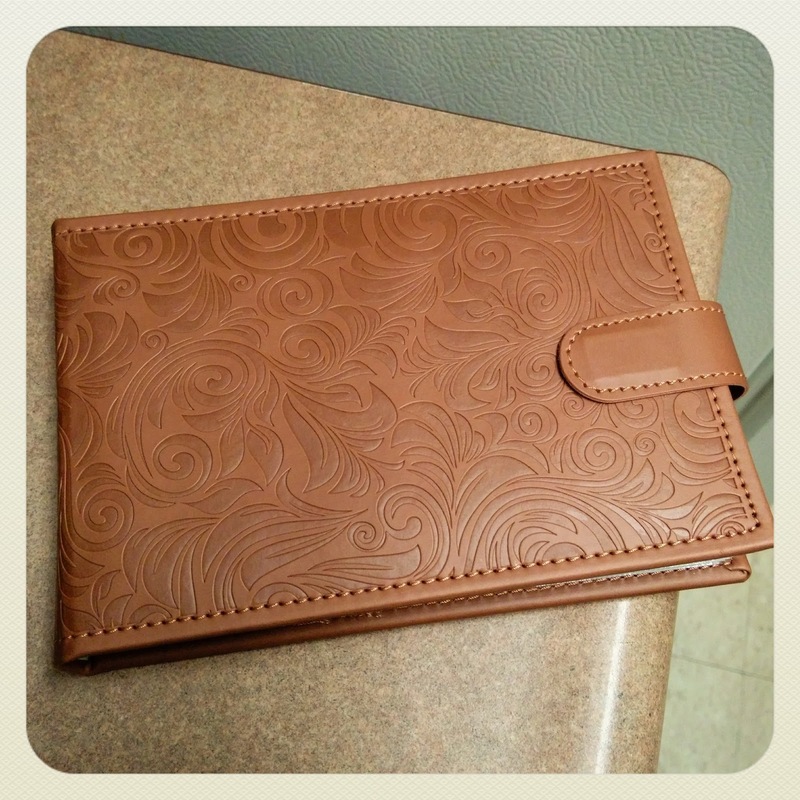 I picked up this small 4x6 photo album on Amazon recently. It's faux leather, but it's got a vintage feel to it. 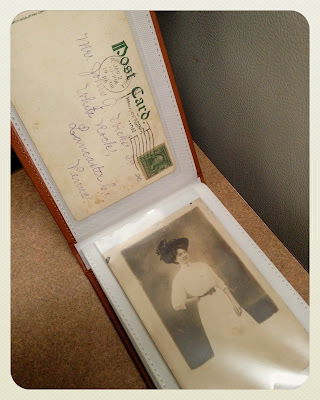 It's perfect for storing all of my antique postcards.